Aquaman looks like it might take place before events of Justice League, but I could be wrong. It also looks like a fun action flick, but then again, I said the same thing about Suicide Squad! But I've been a big Jason Momoa fan since the Stargate TV series, so I have some hope! 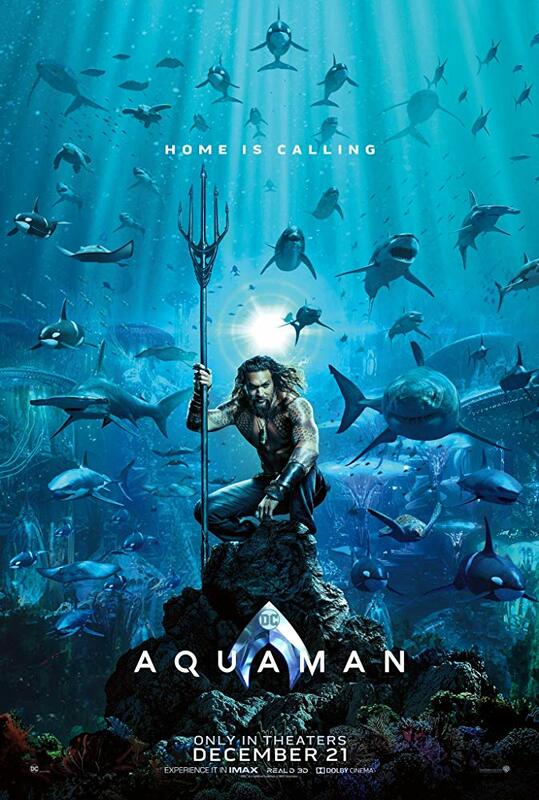 "Arthur Curry learns that he is the heir to the underwater kingdom of Atlantis, and must step forward to lead his people and to be a hero to the world." Directed by James Wan (Saw, Insidious, The Conjuring, Furious 7) and stars Jason Momoa, Amber Heard, Nicole Kidman, Randall Park, Patrick Wilson, Dolph Lundgren, & Willem Dafoe. I've seen it said that this film is much like DC's Black Panther film, though I'm not sure how folks would know that so early in the marketing stages of this film. To me, I like Momoa and they've made Aquaman into what seems like a pretty cool character.